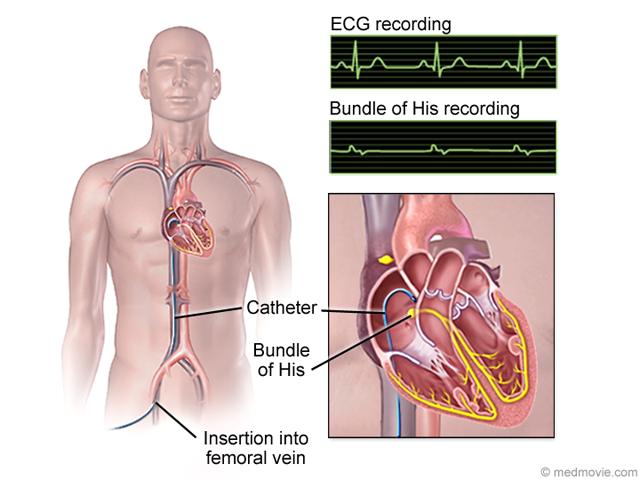 The vascular (circulatory) system is made up of blood vessels called arteries and veins. Arteries carry oxygenated blood from the heart to the body. 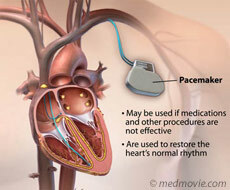 Blood is pushed through the arteries by pressure created by the heart’s beating. Veins carry deoxygenated blood back to the heart. Veins have valves that prevent blood from flowing backwards. Blood flow is slower than in the arteries. The contractions of surrounding muscles help keep the blood moving forward. There are some common problems that can occur with the blood vessels. These problems include high blood pressure, atherosclerosis, aneurysm, embolism, varicose veins, and thrombosis. High blood pressure, or hypertension, is a condition in which blood pressure levels are measure above the normal ranges. Blood pressure is the force of the blood in your arteries. Your blood pressure is high if it is 140/90 or higher. Atherosclerosis is a disease that affects the arteries. It is caused by fatty deposits that begin within the blood vessel wall and eventually progress to cause narrowing of the blood vessel itself. Severe narrowing can stop blood flow. An aneurysm is caused by a weakened area in a blood vessel wall. This causes the wall to balloon outward. As the aneurysm becomes larger, the wall becomes weaker and the blood vessel may break open (rupture). An embolism is a blood clot that has traveled to another place in the body. These blood clots most commonly form in the veins of the legs. The clots can lodge in smaller arteries, stopping blood flow. Varicose veins occur when the valves in a veins do not work properly. As a result, blood pools in the veins and causes the veins to become swollen and twisted. Most commonly, varicose veins occur in the legs. 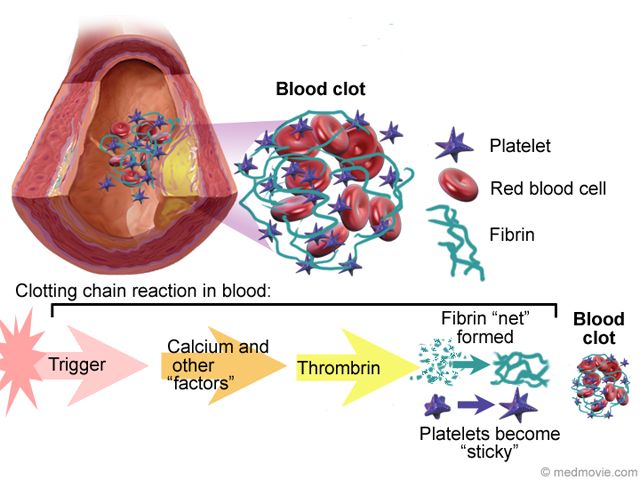 A thrombosis is a blood clot that has formed inside a blood vessel. Most commonly they can occur in the veins of the leg (deep vein thrombosis). They can sometimes form in arteries. These blood clots can break off and travel through the blood (embolism).